On Monday, May 23rd, WISERD held a one day practitioner conference to disseminate key findings and recommendations in relation to the three year independent evaluation of the Foundation Phase early years curriculum. 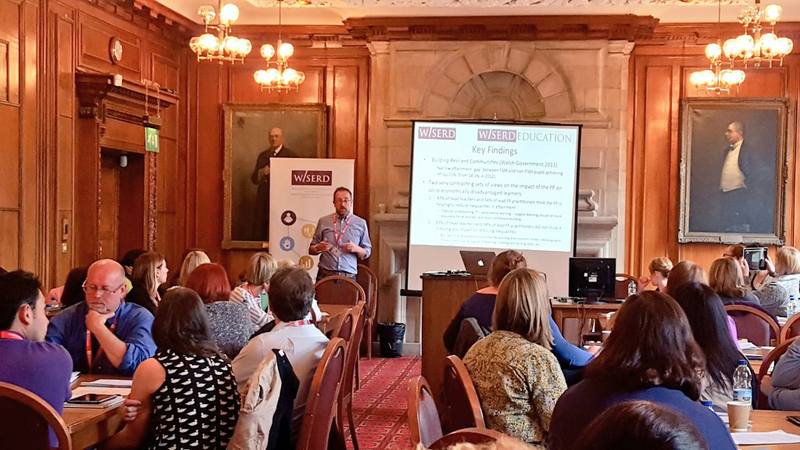 The conference brought together practitioners from the length and breadth of Wales, as well as key individuals from the Welsh Government Early Years team, academics, educational organizations, local authorities and consortia. Our aim as a research team was to provide practitioners with a chance to engage with the evaluation’s main findings, and to discuss with each other about how these findings will influence their own opinions and practice in relation to the Foundation Phase. The Foundation Phase is a statutory early years curriculum rolled out to each primary school in Wales since 2008 (although piloted from 2004). It adopts a developmentally appropriate approach (DAP) and takes inspiration from holistic approaches to teaching young children from programmes such as Te Whariki in New Zealand, and Reggio Emilia in Italy. 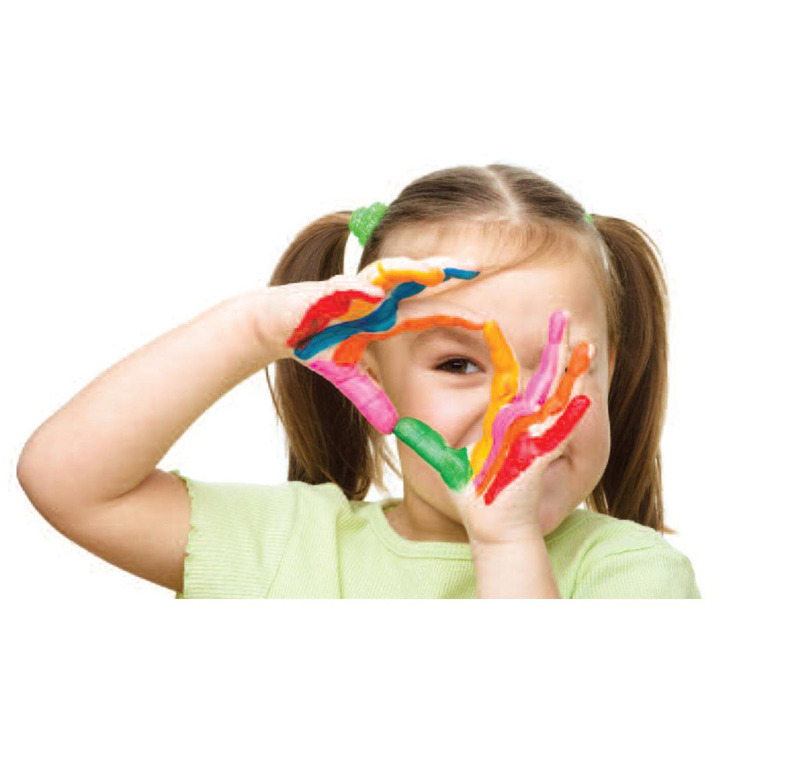 Its main aim is to provide children with a variety of opportunities to learn based on seven key areas. Active and practical learning activities are favoured, where children are involved in planning what themes and topics are focussed on, and there is an emphasis on exploring and learning outdoors. Cardiff University and the Wales Institute for Social & Economic Research, Data & Methods (WISERD) were commissioned by the Welsh Government to undertake an independent three-year evaluation of the Foundation Phase. The final report was published by the Welsh Government in 2015, and included 29 recommendations on a range of areas. The evaluation itself gathered data from a variety of sources, including over 3000 child observations, interviews with practitioners and a parental survey. The conference proved immensely popular, and we were greeted by over 70 attendees on the day. Professor Chris Taylor, the project’s director, opened the day with a brief introduction to the Foundation Phase evaluation, as well as the main findings and our main aims for the conference. Professor Taylor highlighted some key findings from the evaluation (which are to be found in the uploaded presentations from the day on the WISERD website) and introduced everyone to the intended running of the day. This was followed by a presentation by colleagues from Welsh Government who had been involved in the evaluation. Launa Anderson, from the Government’s Social Research arm spoke about the reasoning behind the evaluation, whilst Graham Davies from the Early Years Team within the Government discussed their hopes for using the findings from the evaluation to guide the future of early years in Wales. They emphasised the importance of evidence based policies in light of the evaluation, as well as Professor Donaldson’s curriculum reform recommendations, and the introduction of a new Government. The greater part of the day was allocated to giving practitioners a chance to engage with the evaluation’s findings about particular topics. 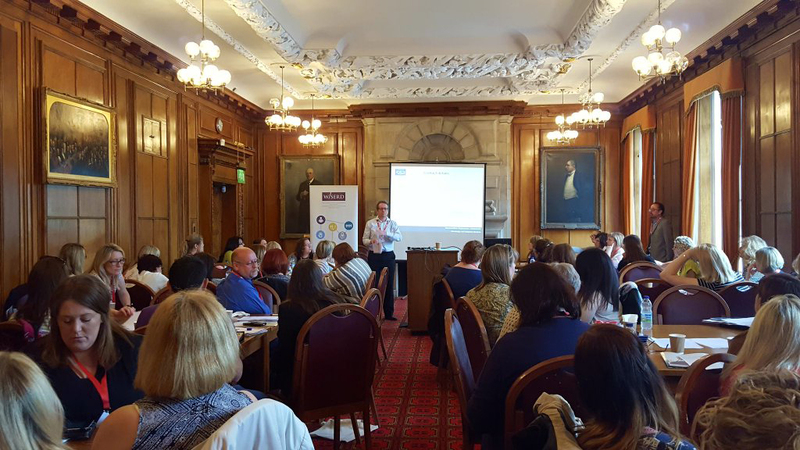 There were six workshops, each concentrating on a topic of interest, which included Professional Development, Closing the attainment gap, Transitions & Assessment, Pupil Wellbeing, Engaging parents and Working with Additional Practitioners. A member of the research team provided the delegates with a short presentation on the main findings and recommendations from the evaluation on each topic, before opening the floor to discussions, with time at the end of each workshop for feedback. We wanted to provide practitioners with information that could later be disseminated to the remainder of their professional network post-conference, and so decided to use computer tablets as a means of producing a document linked to the day, as well as trying something different to the old flip-chart feedback method. We provided each table with four computer tablets, with a GoogleDocs document for each workshop. Practitioners were asked to use the documents to create a record of what they thought the main issues were in relation to the workshop topics, as well as any notes on the proposed recommendations and implementation based on their own experiences. At the end of each session, Professor Taylor took some themes from practitioners’ notes to provide everyone with general feedback from the workshop. Do boys start school with a deficit in their learning? What role does setting/streaming have in the Foundation Phase? Are national assessments commensurate with the FP Framework? Are LNF national assessments suitable for relatively low achieving pupils at age 7? What does that do to their confidence? Engaging Parents How can parents and their families be engaged more in the FP? Practicalities, relationships with staff, use of technology. Adults in FP classrooms should rotate around activities each week; play to individual strengths; ratios = statutory? Huge investment in lower adult:child ratios in Foundation Phase, but have we made the most of this? Additional practitioners much less likely to have undertaken FP training. How do teachers work with APs in planning and teaching? After the conference, the transcript from each workshop was tidied and emailed to each participant alongside the presentation slides from the day. Feedback from the day indicated that this method of documenting discussions was a huge success, and that practitioners hope to use the information collected in dissemination exercises with their colleagues post-conference. Getting to share ideas and experiences about the future of the Foundation Phase in Wales with the practitioners and professionals implementing the curriculum daily was a very enjoyable experience. The research team provided delegates with clear and concise evidence from the evaluation, and practitioners were able to provide perspective on how these findings might impact their practice for the future. Practitioners were also glad to have an opportunity to ask members of the Welsh Government about future plans e.g. in relation to on-entry assessment and assessment frameworks. Our hope now is that practitioners are able to use the information gathered from the one day conference to enhance their daily Foundation Phase practice in a way that is useful for them and their pupils. WISERD undertook an independent evaluation of the Foundation Phase early years education policy for the Welsh Government. The Foundation Phase (FP) is an early intervention approach to learning for all children aged three to seven years in Wales. It is based on principles of experiential learning – or ‘learning through doing’ – and marks a radical departure from more assessment-based competency approaches. The three-year research project (August 2011 to August 2014) included analysis of educational data and interviews with teachers, parents, local authorities, head-teachers, and the school children themselves. It evaluated the implementation of the policy and what impact it has had to date. In doing so it provided advice and guidance to practitioners and stakeholders on its continued development. The research also assessed the value for money of the FP and designed a framework to track its outputs and outcomes in the future. The project brought together a high profile team with considerable experience of research in the areas of early childhood education, policy implementation, school effectiveness and economic analysis. Members of the team have extensive experience of working with Welsh local authorities and schools. Click here for more information (including reports).